William Doyle says "Christmas has come early" for 9/11 families. 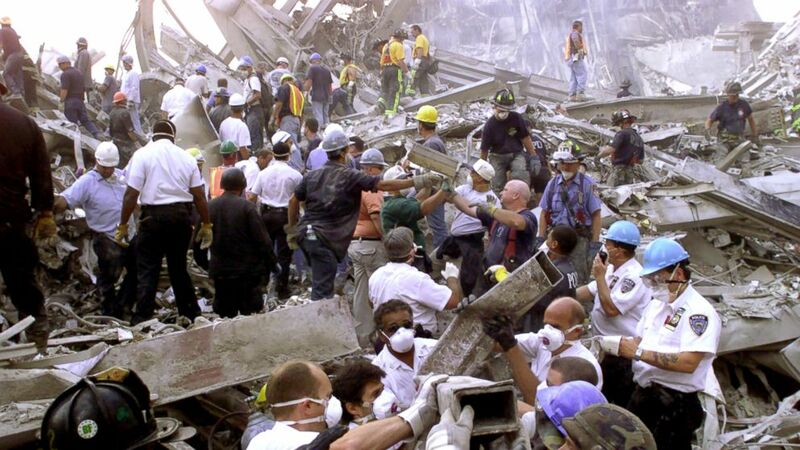 camera (Dominic Chavez/The Boston Globe/Getty Images) Rescue workers remove rubble at the World Trade Center after it was struck by a commercial airliner in a terrorist attack. The ruling struck down an earlier decision that found Saudi Arabia immune from lawsuits. The 2nd U.S. Circuit Court of Appeals said it's in the "interests of justice" to allow them to proceed. Families who lost loved ones in the Sept. 11 attacks and insurers who lost billions of dollars covering damaged businesses have alleged Saudi Arabia bankrolled al-Qaeda, knowing the money would be used for terrorism. The lawsuit, filed a decade ago by the Philadelphia firm Cozen O'Connor, accuses the Saudi government and members of the royal family of serving on charities that financed al-Qaeda operations.